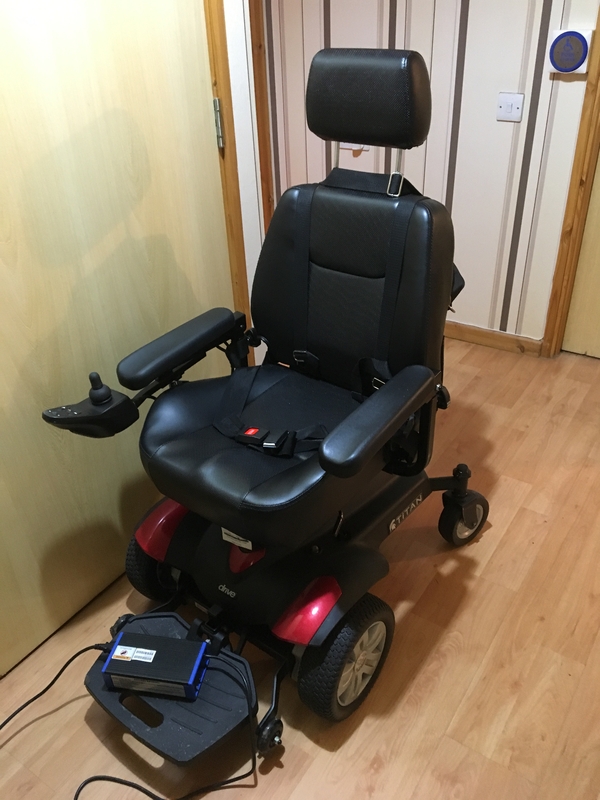 Description: Titan Drive electric power wheelchair complete with charging unit and detachable shopping bag. One very careful lady owner, not used often. In great condition. The titan power chair has a maximum speed of 4mph and a range of up to 29 miles on a full battery charge. It is designed for indoor and outdoor use and has a user weight limit of 136kg facilitated by an 18 inch padded seat. Pick up from Paisley, or may be able to deliver depending on location.